This volume offers a wealth of critical analysis, supported with ample historical and bibliographical information about one of Shakespeare’s most enduringly popular and globally influential plays. Its eighteen new chapters represent a broad spectrum of current scholarly and interpretive approaches, from historicist criticism to performance theory to cultural studies. A substantial section addresses early modern themes, with attention to the protagonists and the discourses of politics, class, gender, the emotions, and the economy, along with discussions of significant ‘minor’ characters and less commonly examined textual passages. 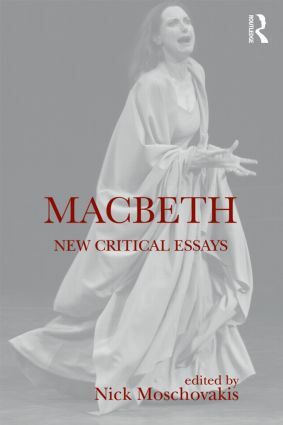 Further chapters scrutinize Macbeth’s performance, adaptation and transformation across several media—stage, film, text, and hypertext—in cultural settings ranging from early nineteenth-century England to late twentieth-century China. The editor’s extensive introduction surveys critical, theatrical, and cinematic interpretations from the late seventeenth century to the beginning of the twenty-first, while advancing a synthetic argument to explain the shifting relationship between two conflicting strains in the tragedy’s reception. Written to a level that will be both accessible to advanced undergraduates and, at the same time, useful to post-graduates and specialists in the field, this book will greatly enhance any study of Macbeth. Contributors: Rebecca Lemon, Jonathan Baldo, Rebecca Ann Bach, Julie Barmazel, Abraham Stoll, Lois Feuer, Stephen Deng, Lisa Tomaszewski, Lynne Bruckner, Michael David Fox, James Wells, Laura Engel, Stephen Buhler, Bi-qi Beatrice Lei, Kim Fedderson and J. Michael Richardson, Bruno Lessard, Pamela Mason. Introduction: Dualistic Macbeth? Problematic Macbeth?